What Are the Dangers of Sodium Acetate? Sodium metasilicate is a member of the sodium compound family, according to the International Programme on Chemical Safety. A very basic compound, sodium metasilicate is used in a variety of industrial and household settings. While it is a cleaning and de-rusting solution, it is highly corrosive and should be handled with care. Sodium metasilicate is produced by fusing sand with sodium carbonate at very high temperatures, notes the International Programme on Chemical Safety. This produces a clear, white or grayish-white crystal solution. Sodium is a base, and therefore has a high pH level. When interacting with acid, sodium metasilicate will often neutralize that acid. Sodium metasilicate is a highly corrosive substance, particularly when water is added. For this reason, it is used in a variety of settings. The compound is found as an ingredient in fireproofing mixtures, household cleaning, insecticides, fungicides and as a bleaching aid. The United States Food and Drug Administration has approved one form of sodium metasilicate, the pentahydrate form, for use in washing vegetables and fruits. Sodium metasilicate’s corrosive properties come in handy when used as a cleaning powder, according to the Housekeeping Channel. 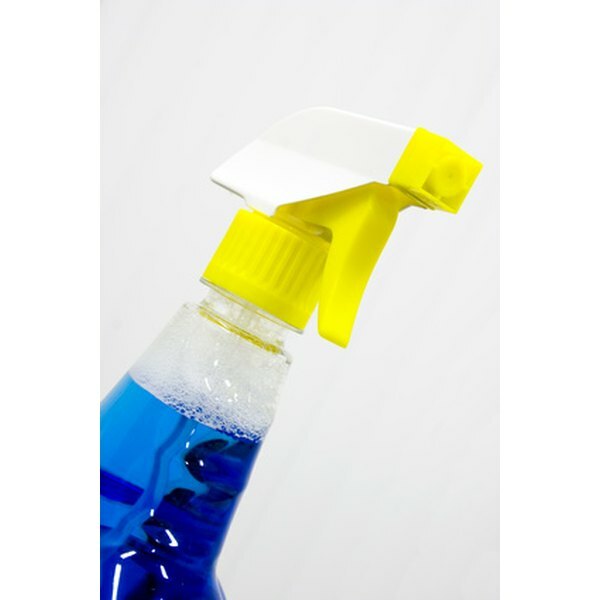 For those who wish to purchase environmentally friendly “phosphate-free” cleaning powders, sodium metasilicate is frequently used as a substitute. It is available for purchase at many home stores and hardware centers. Because sodium metasilicate is a highly corrosive material, it can be highly irritating when it comes in contact with the skin, eyes or respiratory tract, according to the International Programme on Chemical Safety. If using as a cleaner, take precautions such as wearing a protective mask and gloves. If your skin does come in contact with the metasilicate, wash your skin and remove any clothing contaminated by the compound. If the compound comes in contact with your eyes, flush them thoroughly with saline solution. Sodium metasilicate should be stored in a dry location. Do not remove the compound from its original container because if stored in an improperly labeled container, this could create confusion as to its contents and increase the risk of injury. Because it is corrosive, store out of reach of children and pets.